Such a pretty cup Deborah! I love fall flavors. Oh, the question about the steam on my tea, it is real not photoshopped. I always try to photograph freshly made food. Your teacup is lovely, Deborah. I have never tried pumpkin cream cheese and it sounds delightful, especially with fresh nutmeg grated on top. Beautiful scenery outside your window! 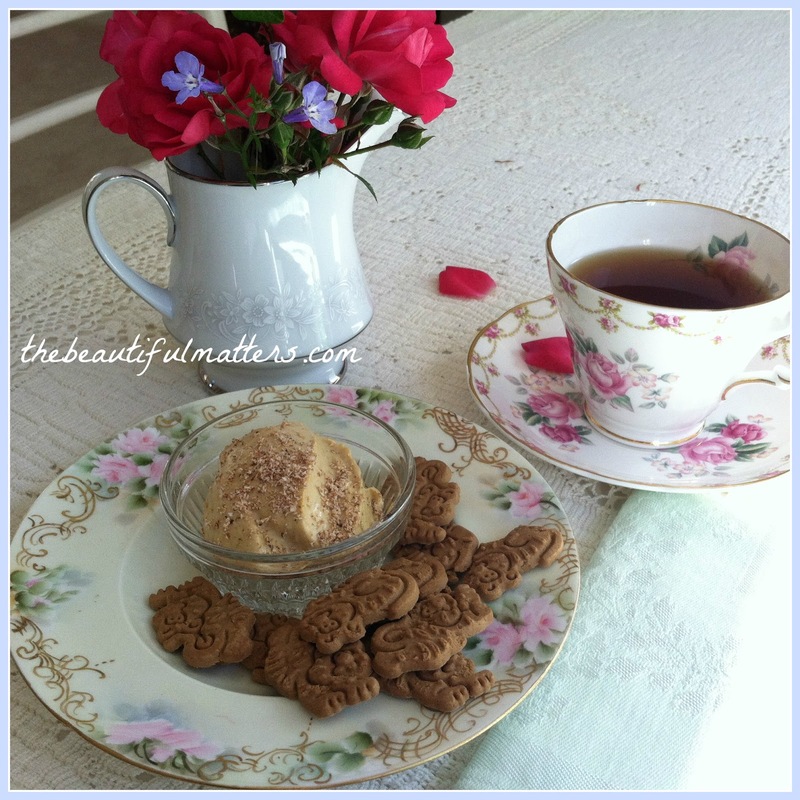 Thank you for sharing this pretty post and joining me for tea. Enjoy your day. Hi Deborah, wow what a beautiful tea cup and so nice to sit and have tea with pumpkin flavored cream cheese and little cookies! I LOVE Trader Joes! I know what you mean about everything pumpkin there. Have a wonderful day and week. Hi Deborah...don't you love Trader Joes? Unfortunately, our closest on is 60 miles away...rats! 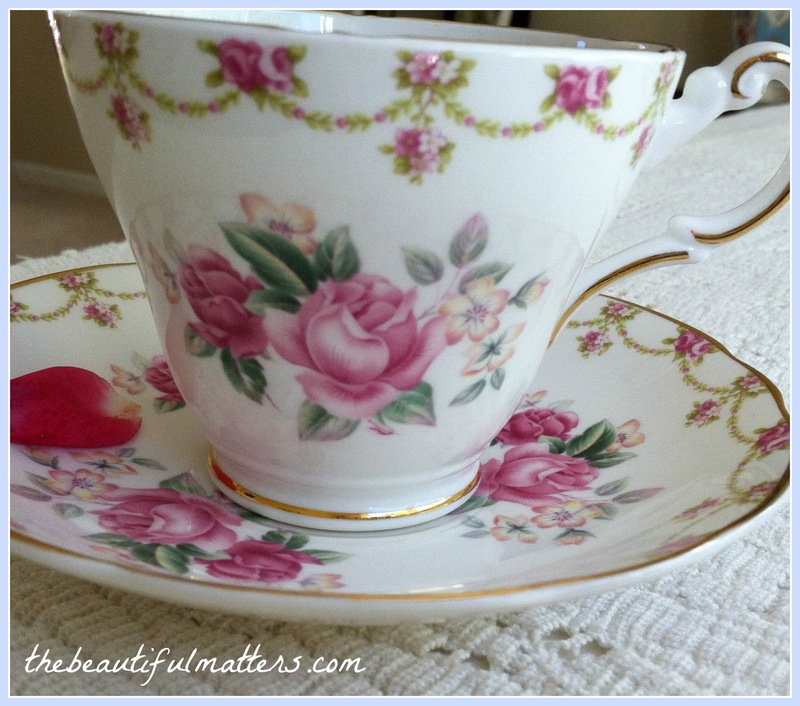 Love your pretty teacup! 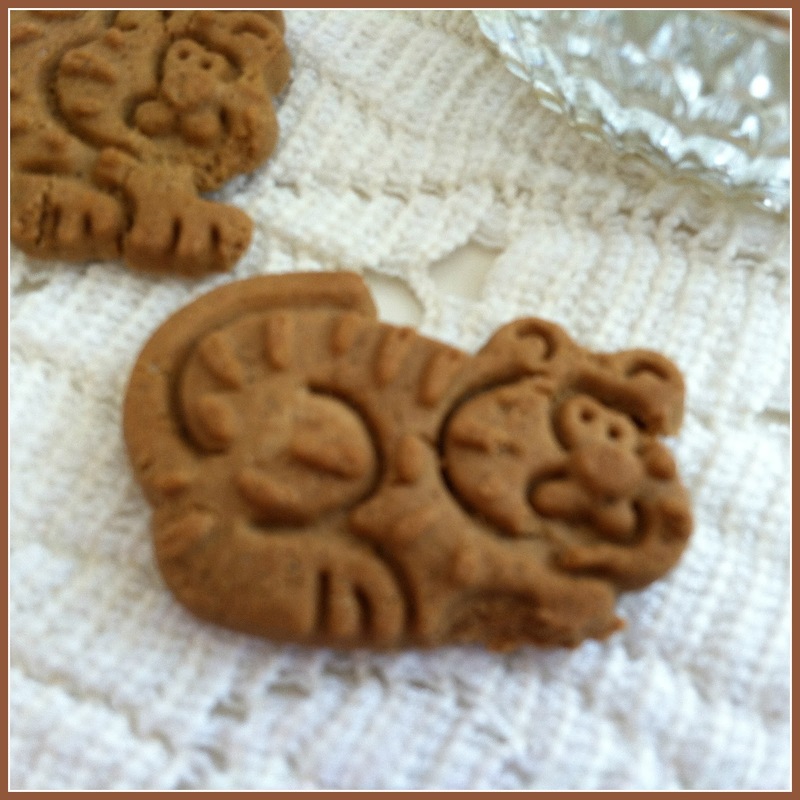 I'd have grabbed the ginger tigers...we love ginger! I also love Trader Joes and anything pumpkin! ...and the scenes around your home are gorgeous! That is the sweetest little tea cup. I love anything rosy and the garland around the top is gorgeous. I always use real nutmegs - such a special flavour and they keep in the jar forever it seems! Oh YUM! 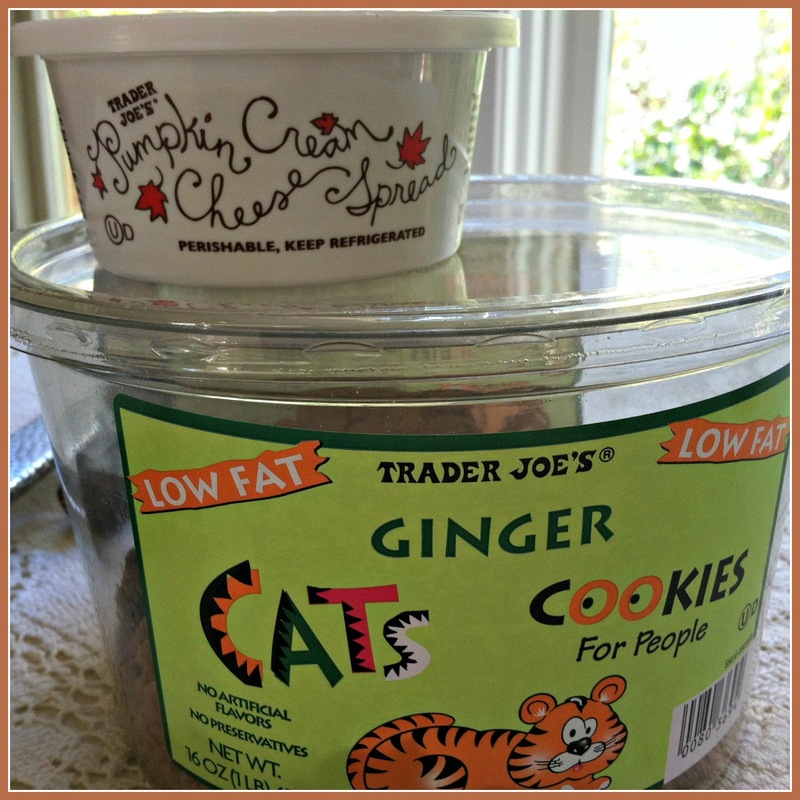 You are a girl after my own heart...I started dipping my old stale ginger snaps left in the cookie jar when I discovered the Philly Pumpkins Spice Cream Cheese a couple of weeks ago. I also found Thomas's Pumkin Spice English Muffins! I just love the flavors of fall! I went to TJ's a couple of weeks ago and noticed everything coming up pumpkin! I bought some fall colored mums that are still pretty. Your tea cup is a beauty and those cat cookies are too cute. I missed those on my visit to Trader Joe's. I'm not a food snob, but I'm with you on using freshly grated nutmeg, Deborah! There's nothing like it. Goodness but Blogger is giving me grief - 3 times to try and comment here and other comments not showing up. I have been trying new pumpkin teas and coffees and sure wish we had Trader Joe's for some of the yummy products you purchased. I can buy whole nutmeg at the bulk barn so I may pick up one or two to try grating fresh. I wish we has a Trader Joe's near by. Don't have any idea where one would be either. I enjoyed the scenes around too. 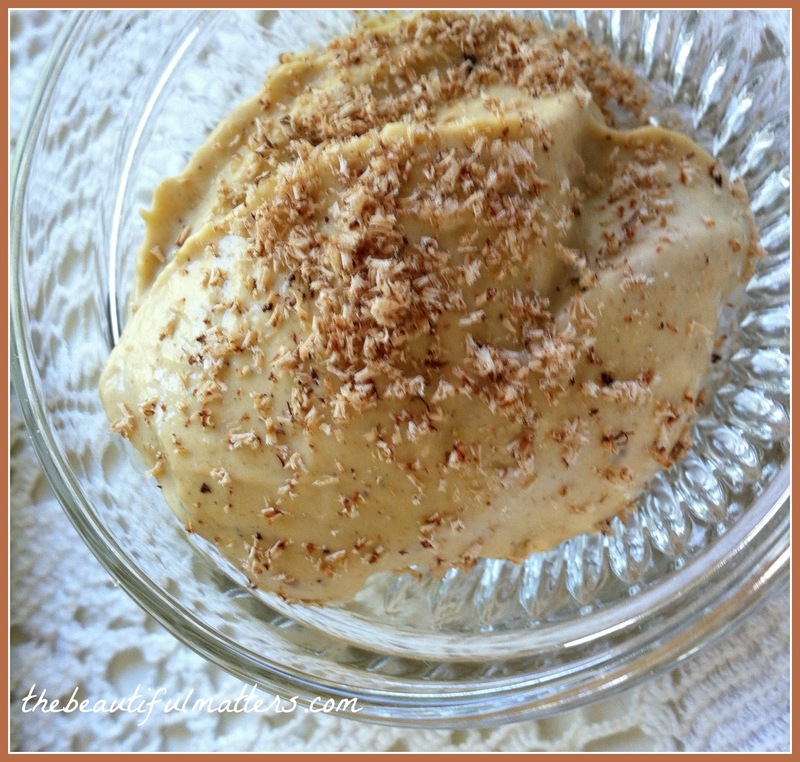 Lovely post and your dip looks delicious with the freshly ground nutmeg. That did bring back very sweet memories of the time I was a little girl and following Mom from the pantry to the kitchen. In the pantry she had her whole nutmeg and she would grate them on a very special grater; the smell I still can relive in my memories. Sending you hugs and enjoy the sunny moments of the fall. Today we had 87°F here; looks more like summer! Hello, I also love all things Pumpkin! My DIL has the very best bread ever really! I have tried so many, check on my blog sidebar and find the blog God's Grace Overflows! Copy it and bake and it makes three loaves! Trust me on this one! Hi Deborah, what a beautiful post filled with yummy fall treats. Love the cream cheese with nutmeg. The little cookies are a nice compliment to your tea. Gorgeous cup too. Tea always tastes better in a pretty cup. I love pumpkin treats this time of year too. My home state of Michigan is always gorgeous this time of year. I miss the changing colors. I know you are enjoying it. Your teacup is beautiful, Deborah. 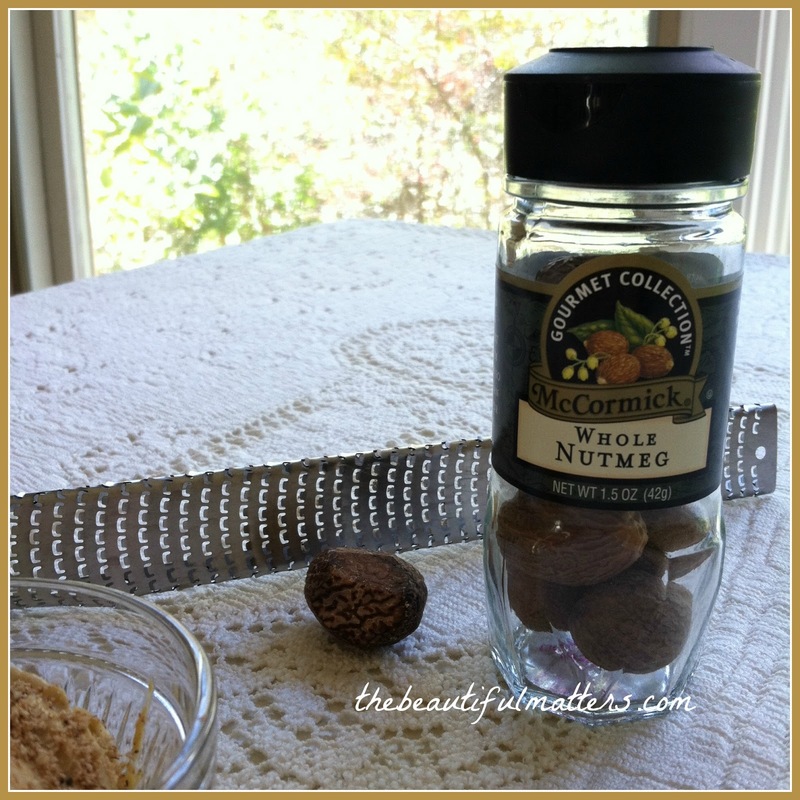 I have never grated nutmeg - thanks for the idea!